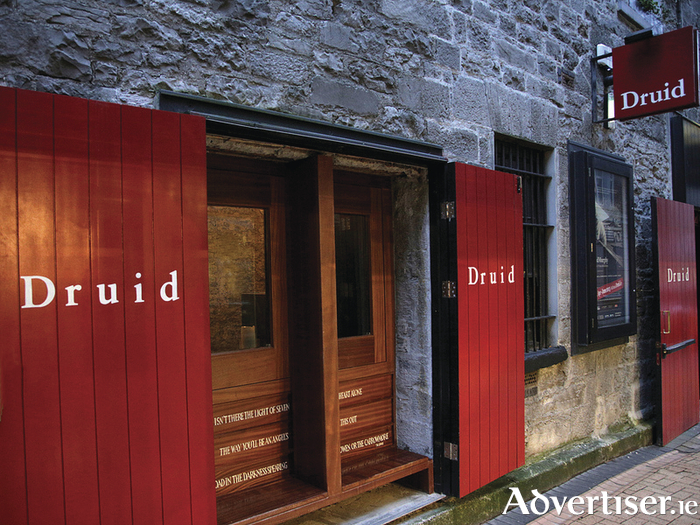 THE MICK Lally Theatre on Druid Lane, off Quay Street, home to renowned Galway theatre company, Druid, is a state of the art venue now available for hire for private and public events. The building has three function spaces: the foyer, complete with full bar; the auditorium which seats up to 100 people and comes technically equipped; and the open-plan rehearsal room, with a sprung wooden floor which houses a kitchenette and shower facilities. Each space is available individually or as part of a complete building hire. Originally a tea storehouse, The Mick Lally Theatre was owned by the McDonaghs, until the family donated the building to Druid, and the Galway City Council later named the narrow laneway running alongside it Druid Lane. After a brief hiatus, the venue reopened in 2009, following a redesign by De Paor architects. Following the death of Druid co-founder, Mick Lally, the auditorium was renamed in his honour. The theatre has hosted shows in the Baboró International Arts Festival, Galway Jazz Festival, Galway Theatre Festival, Vodafone Comedy Carnival Galway; panel discussions for Galway Food Festival, as well as weddings, launches, screenings, workshops, and networking events. For further information on hiring The Mick Lally Theatre, email [email protected] or call 091 - 568660.